Power Networking with George Fraser | New Growth Hair Magazine | We capture the culture of urban barbershops and beauty salons. 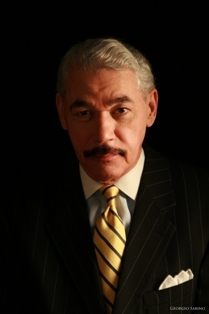 George C. Fraser, CEO of FraserNet, Inc., was born in Brooklyn, NY into a family of 11 children. Fraser became an orphan after his mother became mentally ill and his father was unable to provide for his siblings. Beginning at age 3, Fraser would spend the next 14 years in foster homes. Growing up on the streets of New York City, Fraser had little hopes and no expectations. Fraser’s high school guidance counselor suggested that he drop out of high school, but Fraser ignored the counselor’s advice, graduated high school, attended college, graduated from Dartmouth College’s Minority Business Executive Program, and was awarded an Honorary Doctorate Degree from Jarvis Christian College. Dr. Fraser went on to hold leadership positions with Procter & Gamble, The United Way, and Ford Motor Company. Dr. Fraser is the author of five critically-acclaimed books: Success Runs In Our Race: Complete Guide to Effective Networking in the African American Community, Race For Success: The Ten Best Business Opportunities for Blacks In America, Click: Ten Truths for Building Extraordinary Relationships, a children’s book entitled Who Would Have Thunk It: The First Adventures of The Fraser Foster Kids, and his latest book with Les Brown entitled Mission Unstoppable: Extraordinary Stories of Failure’s Blessings. Dr. Fraser’s books are modern day classics and required reading for African-American business professionals. The PowerNetworking Conference, an annual event founded by Dr. Fraser is attended by thousands of black professionals, entrepreneurs, and community leaders who come together to learn the science of networking, entrepreneurship, and wealth creation. 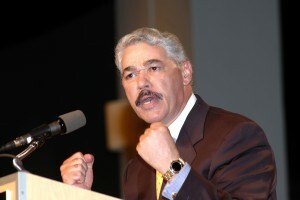 Black Enterprise Magazine named Dr. George Fraser “Black America’s #1 Networker”. Below is my in-depth interview with Dr. Fraser about the importance of networking. Phillips: What is networking? Why is networking important? Fraser: Twenty two years ago, I wrote a book entitled Success Runs In Our Race: The Complete Guide To Effective Networking in the African-American Community. In the book, I defined networking and explained why networking is important for black people. Networking is the identification and building of relationships for the purpose of sharing information, opportunities, and resources (with emphasis on building relationships and sharing). Why is networking important? Networking is important because all of life is about relationships. All of life is about working with and serving others. 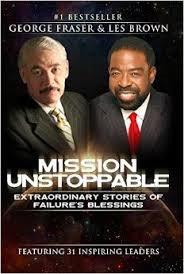 There is no success that can be retained, sustained, or maintained on your own in a vacuum. This is Biblical. In Chapter 5 of John, verse 30, Jesus Christ said, “I can of mine own self do nothing.” Now this was a direct quote from Jesus Christ. If Jesus said He couldn’t get it done by Himself, why would anybody believe that they could do anything worth talking about on their own? At some point in life, people come to understand that their success is directly related to the people that they are around. Your success and the people that you are around will ultimately be more important than your education. That is not to say that education is not important. Don’t get it twisted. Education is profoundly important but it is not enough. Relationships will be the most important thing that you nurture, cultivate, and develop throughout your entire life. In the 21st century, the computer will not be your most important asset. Your most important asset will be your relationships. All upward mobility in the public and private sector, all entrepreneurship, all organization building, all community building, and all nation building are networking initiatives. This is what I’ve been preaching, teaching, and evangelizing for nearly 40 years. As African-Americans, we are seriously lacking in effectively cultivating and building relationships at home, at work, and in the community. It stems from negative self-imagery and self-hatred. If I do not understand who I am as a black man, if I do not love myself, then there is no way that I can love you. Because when I look at you, you become a reflection of me. It’s called low race-esteem, which is driven by low self-esteem. We must first love ourselves, love the skin that we are in, and love our culture. We must understand our history beyond 400 years of slavery. Our history before slavery was a magnificent history. Right now, African-Americans are at the bottom of all of the egregious statistics that define, stereotype, and profile African-Americans. Networking and building effective relationships driven by new habits is the new mindset that we must have in the 21st and 22nd century which will help change the trajectory for African-Americans. Phillips: What skills or skill sets are required to become a good networker? Relationships will be the most important thing that you nurture, cultivate, and develop throughout your entire life. Fraser: The characteristic of a human being who is a successful networker includes empathy (not sympathy), transparency, and good follow-up. Productive networking requires that both people bring something to the table. Often times, networking and begging get confused in our culture. It’s not begging when both parties bring valuable information, resources, and/or opportunities to the table. Good networkers must be an inch wide and a mile deep in their area of expertise and a mile wide and an inch deep in the matters of the world. In simple terms, you must be an expert in your product or service and you have to know more than what’s going on in the world of sports and entertainment. Good networkers are well rounded and well read. Effective networkers are intellectually active. I’m not saying that you have to be a brain surgeon, Einstein, Cornell West, or Michael Eric Dyson but you do have to be interesting and interested about the world around us which makes you conversational, likeable, and interesting. In many cases, people trust people who are knowledgeable about their business and matters of the world. Master networkers are well read, well spoken, successful in their own right, and they spend 40 to 50 percent of their time cultivating relationships at home, at work, and in their community. Phillips: Is there a connection between networking and wealth? Of course there is a connection between networking and wealth. If you are hanging around 5 broke people, in about a year, you are probably going to be broke too. If you want to earn $200,000 a year, you have to hang around people making $200,000 a year because there is system for everything. When I am speaking at urban schools, I tell young brothers and sisters if they want to get A’s, you must hang with brothers and sisters who are getting A’s. If you are earning C’s, then you only know the system for getting C’s. There is a different system for getting A’s than the system to earn C’s. My advice for adults is to hang out with people who are doing and getting what you want to get. If you want to be a millionaire, hang out with millionaires. They are millionaires because they understand the system to earn millions. I hope that you are spending as much time raising the friends of your children as you’re spending raising your own children because the peer pressure from your children’s so-called friends will be far greater than any pressure that you will be able to put on your children. Phillips: What grade do you give the African-American community in networking? Fraser: Twenty years ago, I wrote a book entitled Success Runs In Our Race: The Complete Guide To Effective Networking in the African-American Community,which was a catalyst that started the networking conversation in the black community. The grade that I give our people right now is different than the grade I would have given before I wrote Success Runs In Our Race. Twenty years ago, I would have given the black community an F. Today, I think there has been some progress so I’ve moved the networking grade from an F to a C minus. We are not average but we are not failing. For those at the top of the food chain, in our community, those are the ones who get A’s. The reason that they are at the top of the food chain is because of their networking skills and their ability to cultivate, nurture, and build relationships. I know how they got to the top because I know most of them personally. I know who they network with, who they do business with and who they hang with. They do business with people who are like them, who want what they want, who share a common vision, and who are at their level or higher. Phillips: What do parents need to teach their children about networking? If you want to change your life, change your relationships. Fraser: A recent study reported that it’s better for a child to grow up in a great neighborhood with crazy parents than to grow up in a bad neighborhood with excellent parents. So what’s the common denominator? The neighborhood and the people who are around you are the common denominator. My advice to parents: I hope that you are spending as much time raising the friends of your children as you’re spending raising your own children because the peer pressure from your children’s so-called friends will be far greater than any pressure that you will be able to put on your children. Any young person going through school (primary, secondary, college, or post-graduate): be careful of who you select as friends. Introduce me to your five closest friends and that will tell me who you are. Parents need to know the GPA of their child’s closest friends. The GPA of their friends will usually predict your child’s GPA. There is a direct correlation to the people your child hangs with and their success. Phillips: Please share information with our readers about FraserNet’s Power Networking Conference. Fraser: The Power Networking Conference is the boldest, baddest, the most important, and powerful networking conference in Black America. This is where you come when you want to take your business, your life, and your career to a whole new level. If your readers have big dreams, a vision that they want to accomplish, they are passionate, motivated, and smart but their grand vision hasn’t come to light as planned, I recommend that they attend The Power Networking Conference so that they can learn how to create a strategic plan, identify trusted sources, and to create clear and specific plans of action to turn their dreams into reality. If you aren’t getting what you want by yourself, come to The Power Networking Conference so that you can create new relationships. Instead of feeling like you are all alone, you will be at a conference with thousands of people who want what you want and who are prepared to help you because you will help them. The Power Networking Conference is June 25-27 in Dallas, Texas. Your readers can get more information about the conference at www.powernetworkingconference.com.